Last week I made a guest post for Flipkey, a travel website whose blog features local secrets that travelers might not know about. 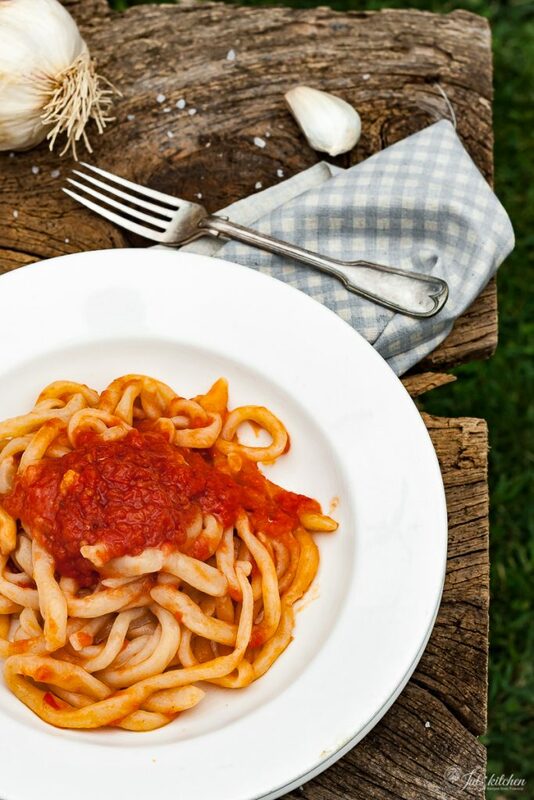 I wrote about one of the most typical Tuscan fresh pasta, pici… do you want to have a look, or better, a taste? 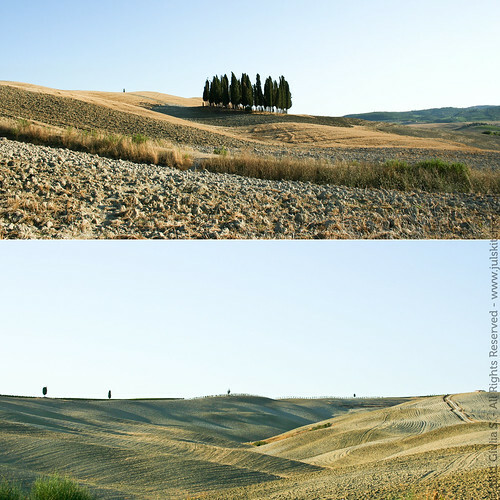 Go to Flipkey blog to discover other interesting and unusual points of view over Tuscany! So, we were talking about pici… this is a dish really rooted in my geographical area… or better, to be precise, time-honoured in Siena and in all the south part of the Siena area. I am talking about the beautiful Val d’Orcia and of all the wonderful small medieval villages that have remained unchanged for centuries. 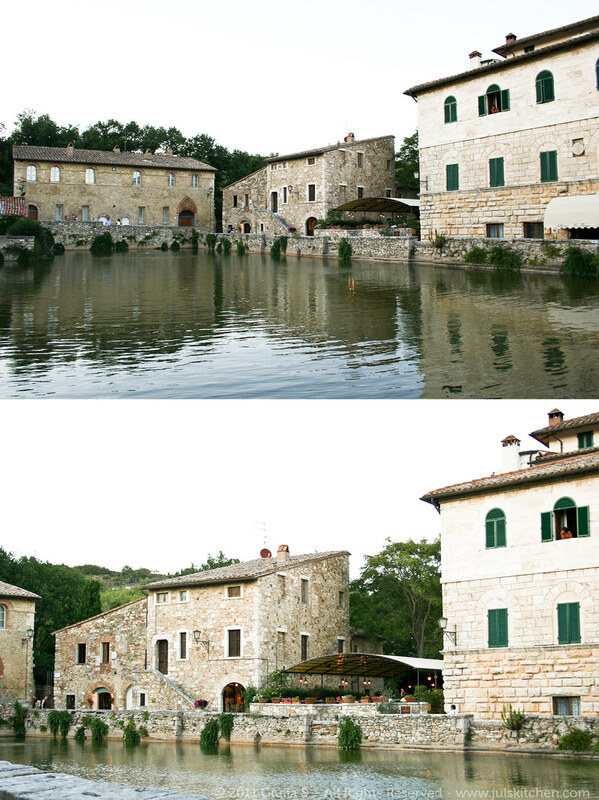 A few years ago I made a Val d’Orcia tour with some friends and we stopped over in Bagno Vignoni for dinner. It is really the most enchanting village I have ever visited. 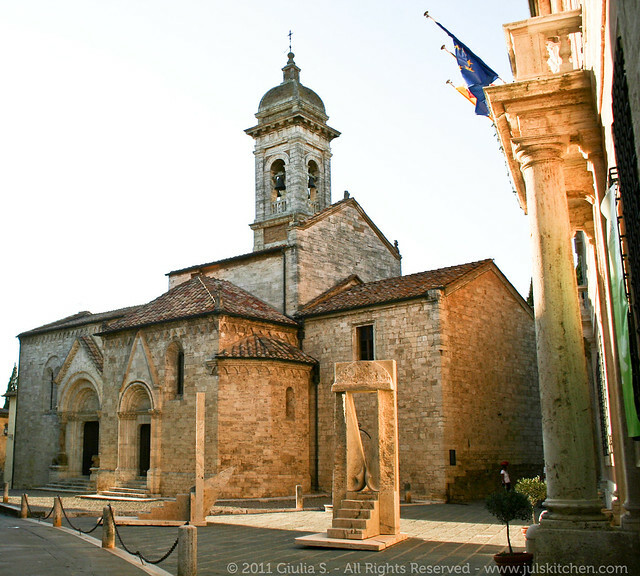 The beautiful medieval square is filled with a huge swimming pool of thermal water. The four of us had pici as our pasta dish at a local restaurant: pici are big, thick, hand-made spaghetti, typical of the country tradition of homemade pasta. They are made just of flour and water. 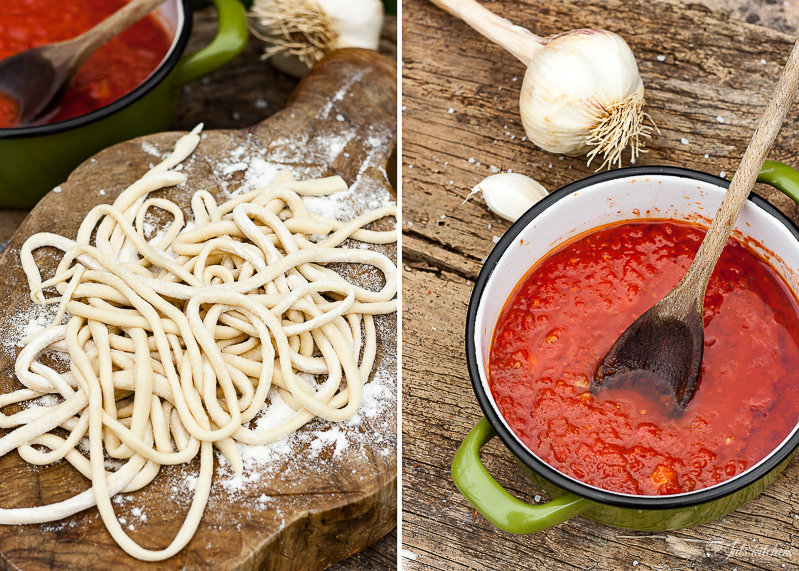 If you want to make fresh pasta, begin with pici, they are extremely easy to make! In Siena there are two typical sauces for pici (although obviously a few more exist): aglione sauce and bread crumbs roasted in olive oil. In this time of the year, when the garlic is fresh and juicy, I do suggest the aglione sauce… just don’t make it if you have your girlfriend or boyfriend over for dinner! Put the flour on a large wooden working surface, make a well in the centre of the flour and add the salt and a tablespoon of extra virgin olive oil. Now add the water little by little, stirring with your hands until a dough is formed. The required quantity of water may be different each time. Knead the dough until firm and smooth: you'll need about 10 minutes. Flatten the dough just like making pizza, brush it with a generous dash of extra virgin olive oil and cover with clingfilm. Let it stand at room temperature from 2 hours up to a whole night. Roll out the dough into a thick sheet (at least 5 mm), then use the pici rolling pin or a knife to make deep cuts in it, about 5 mm large. Then, take out one noodle after the other, stretching and rolling them with your hands to make a kind of thik spaghetti. Place the pici on a sheet tray dusted with flour and set aside to dry. Boil them in steaming salted water for about 10 minutes, then drain them and season as you prefer. Pour the extra virgin olive oil in a thick bottomed pan and add the garlic cloves, peeled and crushed. Cook on very low heat for about 5 minutes, letting the garlic infuse, until it gets lightly golden. Pour in the tomato pulp and stir. Cook on low heat for about 10 minutes. I just added the possibility to subscribe to Juls’ Kitchen via e-mail. If you register in the sidebar you will receive an e-mail alert every time I publish a new post! A lovely post! 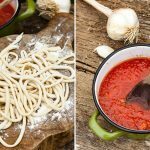 Those pictures of the Tuscan landscapes are amazing and this recipe is fabulous (I’m bookmarking it). Love reading about Italian dishes. Congratulations on your article for Flipkey; that is wonderful. I’ve seen noodles so thick but long like spaghetti. It looks perfectly delicious. Just made this with Alfredo sauce…….. magnificent. so happy you appreciated it!! Reggie: there is no such thing as Alfredo “sauce”…. it’s butter and cheese. No cream, no eggs. Love this! I made sure to eat pici when I was in Siena in fact. I don’t remember the restaurant’s name, but it was so delicious and the owner’s cat sat next to us on the floor enjoying a platter of milk. haha, do you remember where the restaurant was? cats are so lovely, aren’t they? Dearest Giulia, Ludger and I made pici today by following your recipe. it was our fresh homemade pasta and it was perfect. thank you for the wonderful recipe i know we will now make pici again and again! 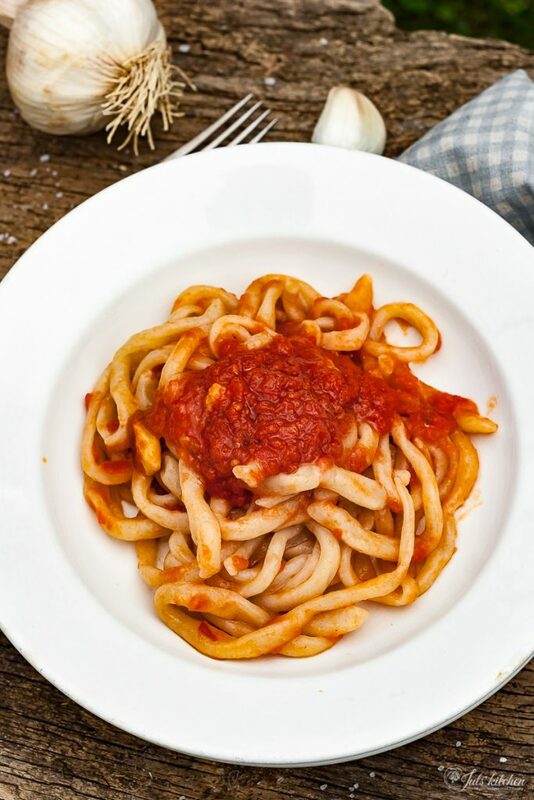 I have been searching for the perfect pici recipe since our vacation in Siena this summer. The traditional one, cause there are also recipe’s with eggs. Thank you. I did try them. There where delicious. I did struggle a little with the thickness of the pici. If I make them too thick they have to cook for to long, and that takes away some flavor and seems harder to digest. I prefer them a little thinner then usual. Try to make them with a part of rye flour, you can find a more recent recipe for the pici here on the blog, I fell in love with their nuttiness and texture!